Never worn a girdle? If you’re curious about it, this blogger covers the basics of what you need to know! Read more on the Fashionable Forties blog! The wonderful Jessica did another review of a Rago product in her blog, Pin Up Persuasion! This time, she tried on leg shaper style 6201. See what she had to say. 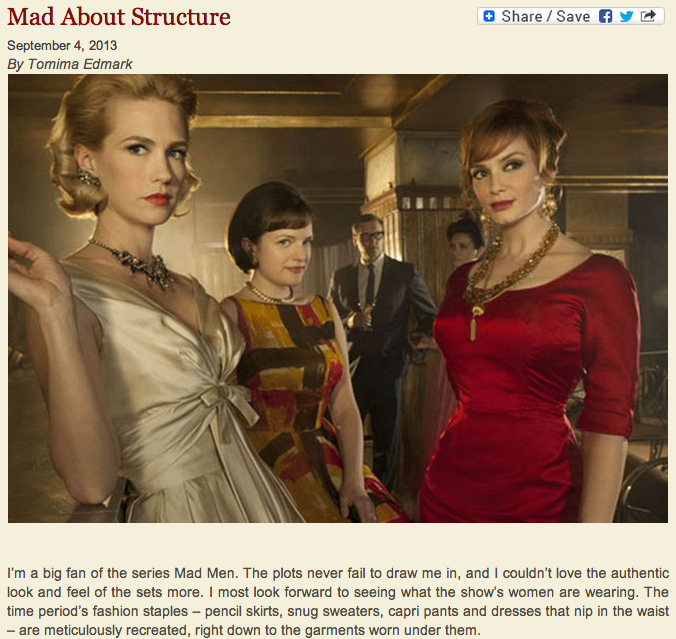 Christina Hendricks talks about the foundation garments of Mad Men with Conan O’Brien! Way back in May 2008, during the very beginnings of the now leading lingerie blog “The Lingerie Addict,” Cora Harrington posted a few thoughts about Rago Shapewear titled “The Rago Review: The Classic Corselette”. 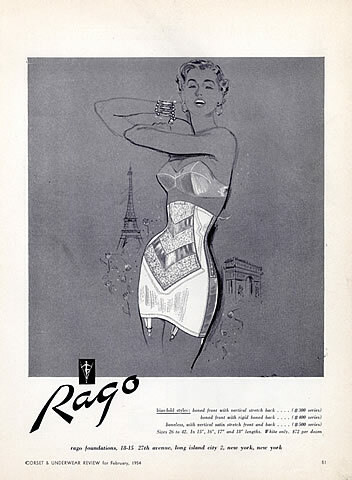 Retro Chick wrote a blog about the history of Rago Shapewear, what made it successful, the styles it works great with, and why it’s been loved for the past 7 decades! Don’t have $1,000 to spare on a lingerie bodysuit? The Lingerie Addict used Rago Shapewear as a beautiful alternative for under $75! Are you a fan of ‪‎high-waist‬ ‎fashion‬? This ‎retro‬ trend is back in style, and Linda the Bra Lady shares what there is to love about it! What is it that you love about high-waist knickers? This classic look includes a Rago waist cincher, used to achieve that iconic hourglass figure!